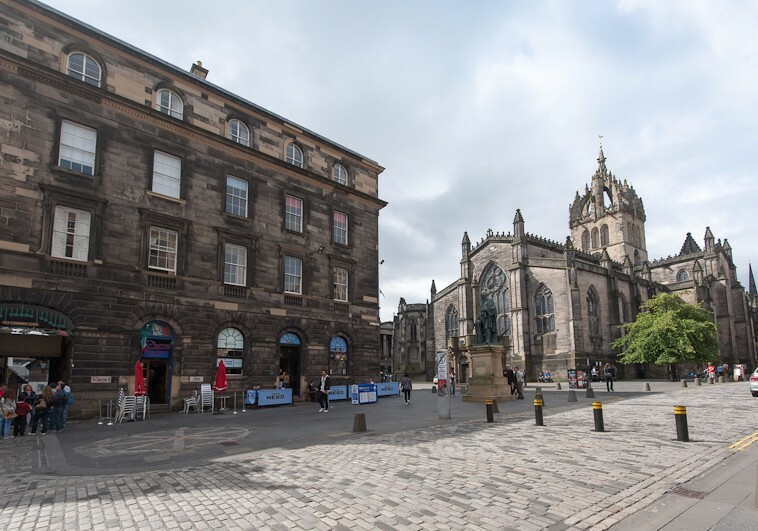 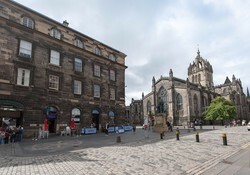 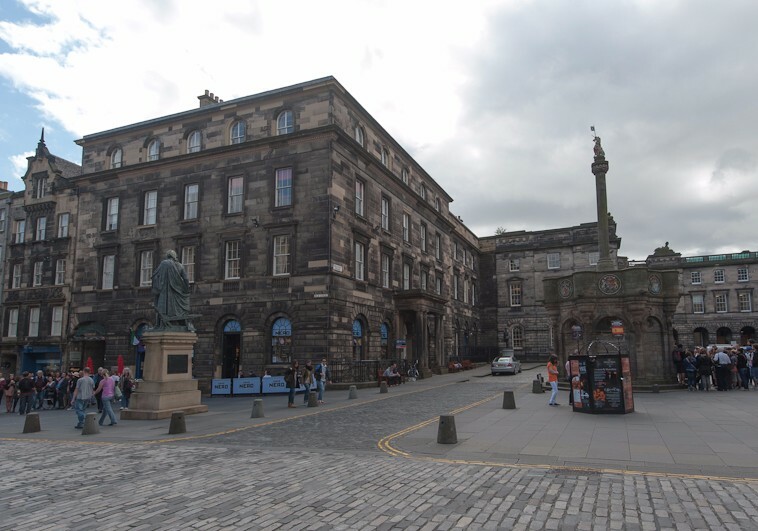 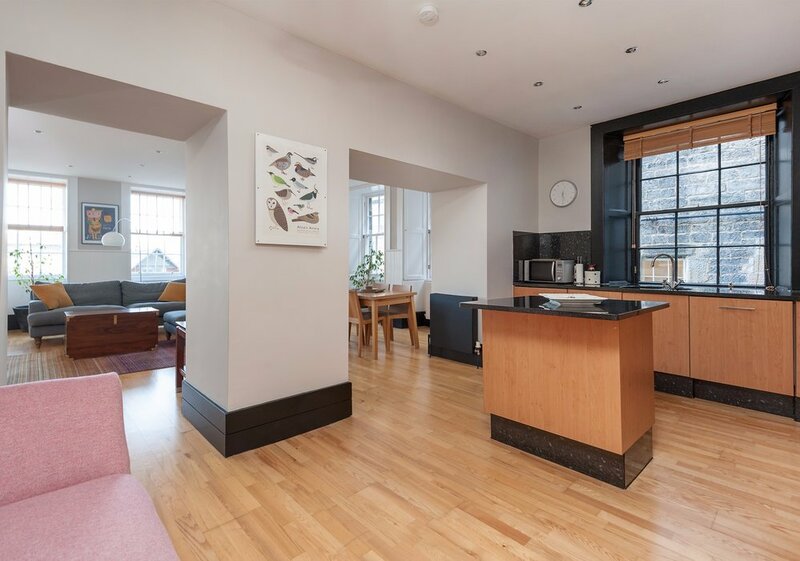 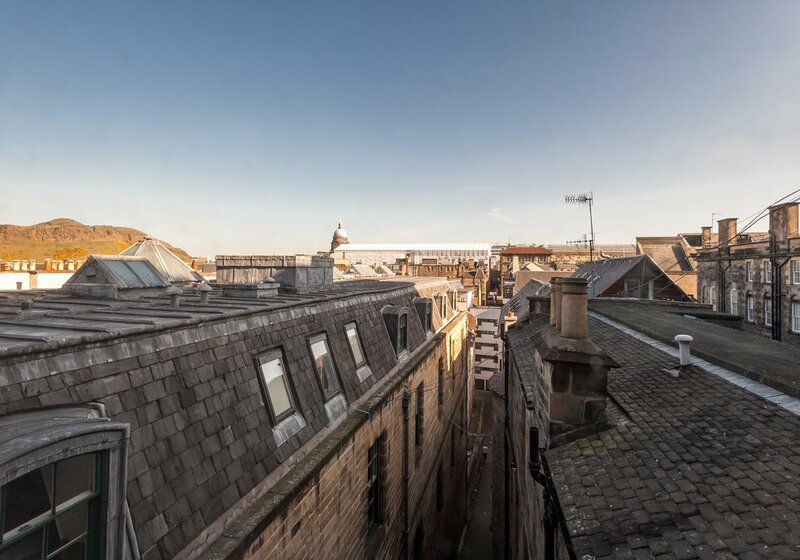 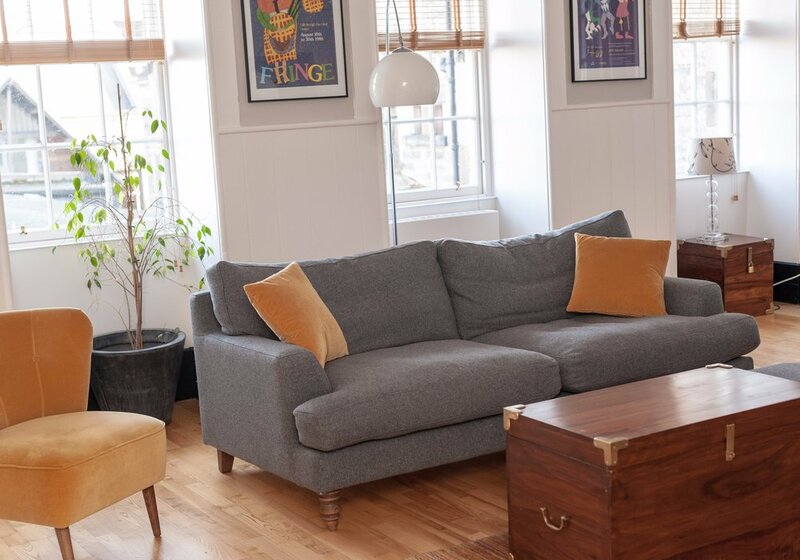 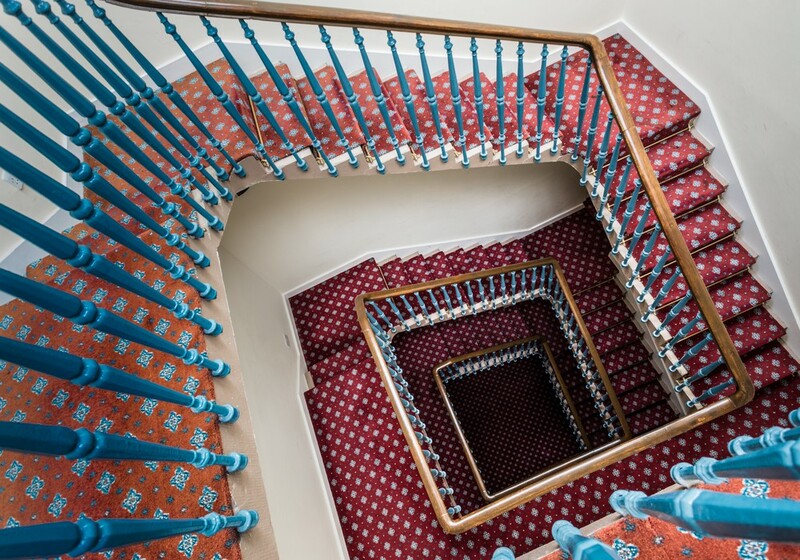 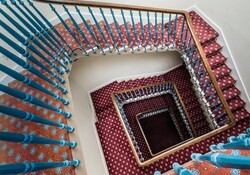 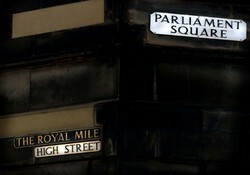 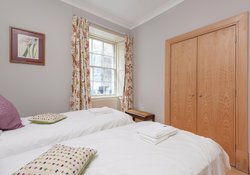 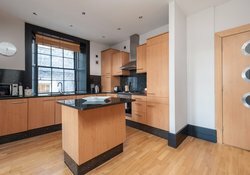 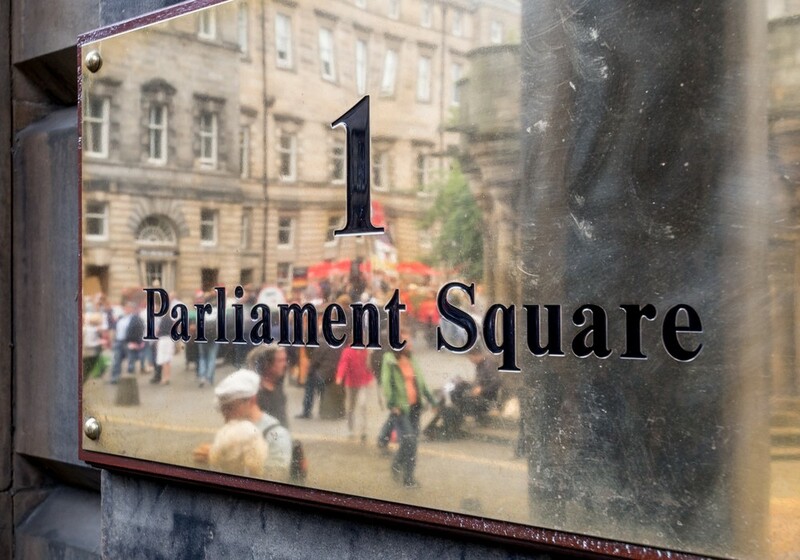 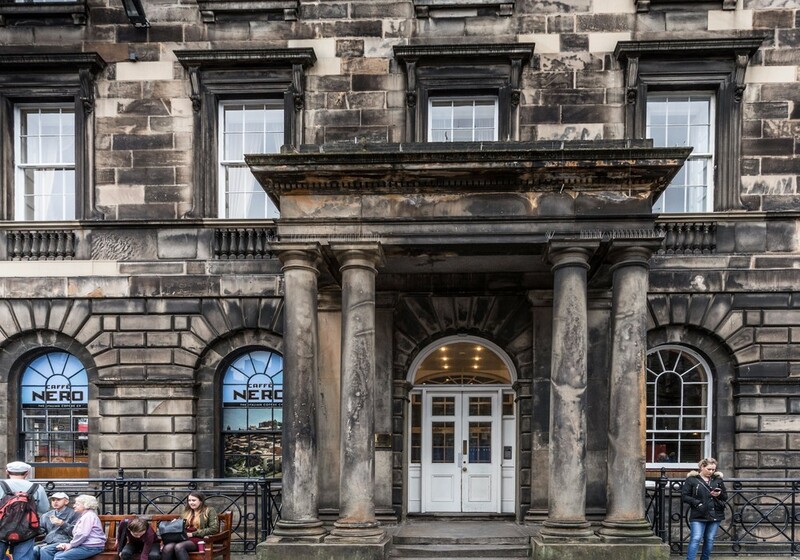 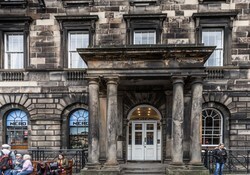 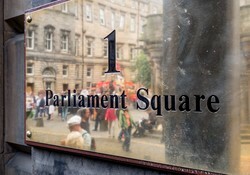 1 (apt 3) Parliament Square is located at the rear of a very prestigious building on Parliament Square, opposite the the Edinburgh City Chambers (local Government Offices) on the famous Royal Mile and the rear of the magnificent St Giles Cathedral. 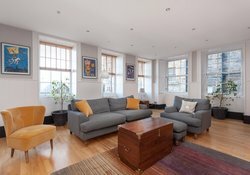 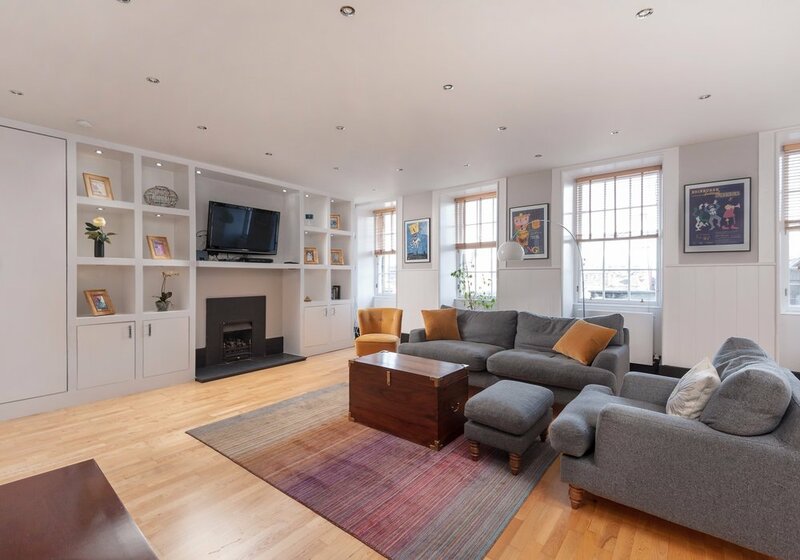 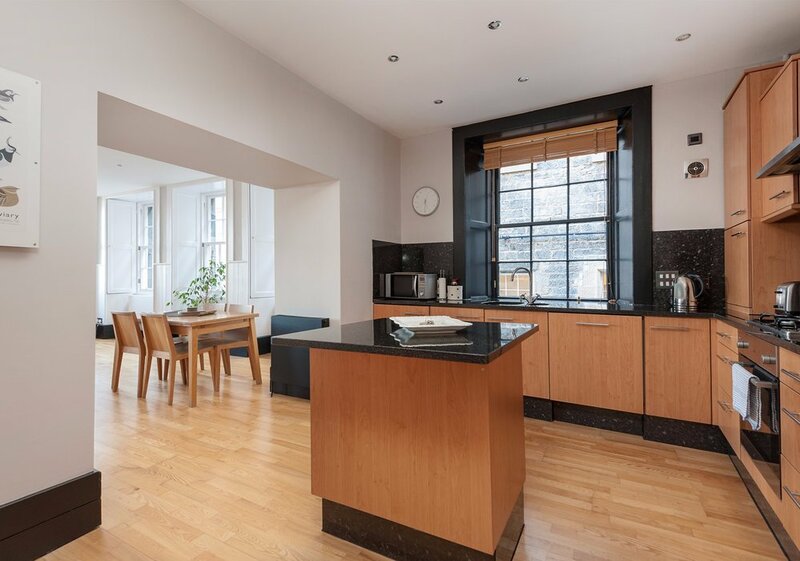 This luxurious 2 bedroom, second floor apartment commands a prestigious position in the very heart of Edinburgh's historic Old Town and only 300 m to Edinburgh Castle's entrance. 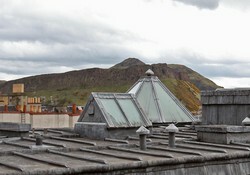 This vast room provides incredible views of a southernly aspect of the city and a beautiful view of Holyrood Park. 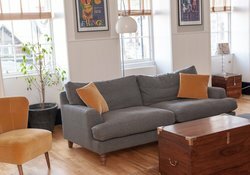 The room consists of a comfortable leather sofa , anoak dining table suitable for four people and some smaller items of furniture and lighting features. 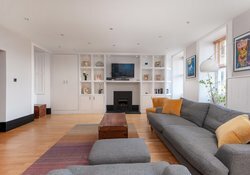 There is a gas coal effect fire which provides additional heat to the gas central heating and creates a wonderful ambience in the room. A large widescreen lcd tv with approximately 30 digital channels and a DVD home cinema system. 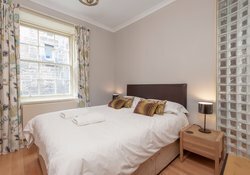 This is a lovely double bedroom with a window overlooking the historic Fishmarket Close . 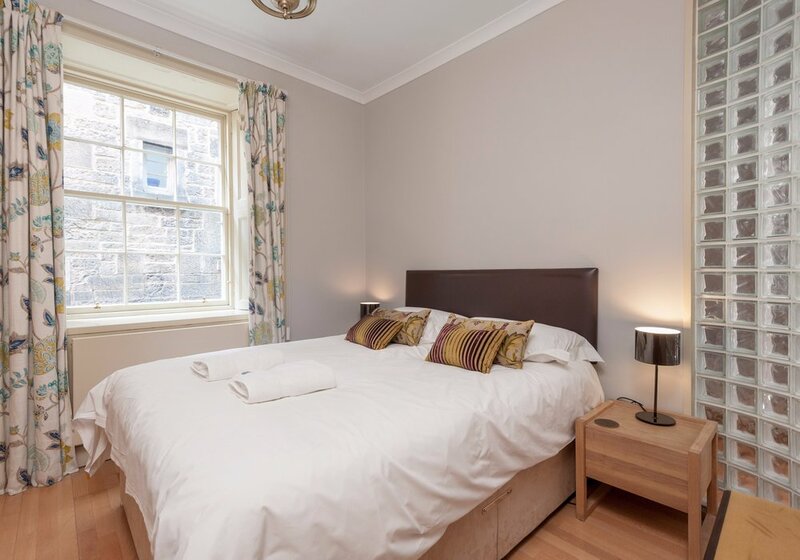 A 5ft (1.52 metres) wide size bed with two bedside tables, a large built in wardrobe and chest of drawers provide ample storage space for your possessions. It has wonderful working shutters to shut out the world to aid a good night's sleep. The second bedroom also has a view of the historic Fishmarket Close. 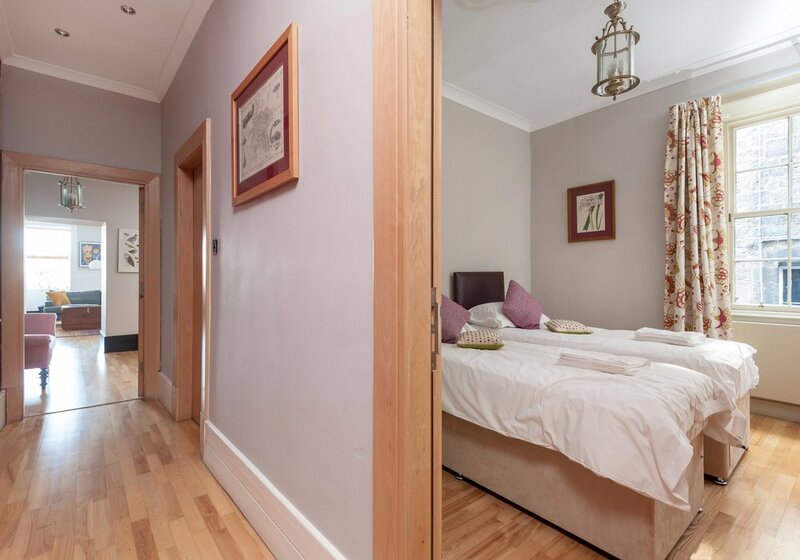 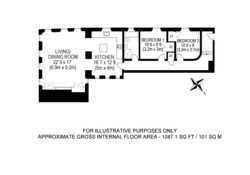 It has a 5ft size zip'n'link bed that can be split into twin beds ( please indicate when making your booking if you want this setup) with headboards and beside tables. 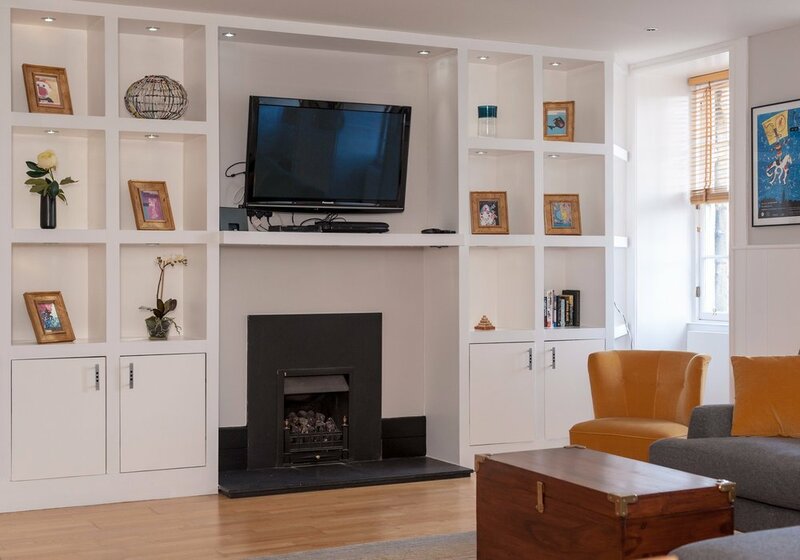 There is a wardrobe to provide storage for your possessions. 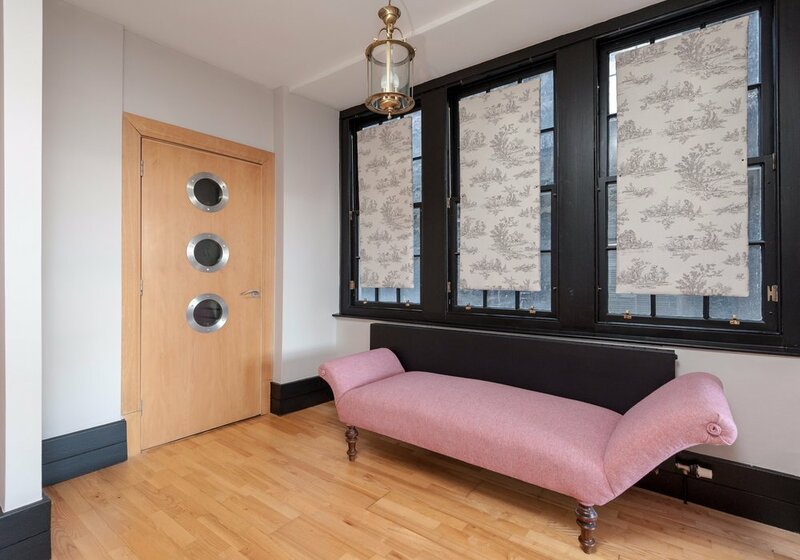 There is also working shutters in this room. 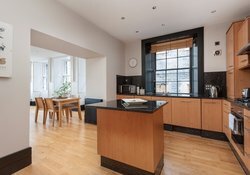 The kitchen has a window with the same views as the bedrooms. It is equipped with a fridge/freezer, electric cooker, microwave oven, washer/dryer, dishwasher and cutlery & crockery for up to four people. 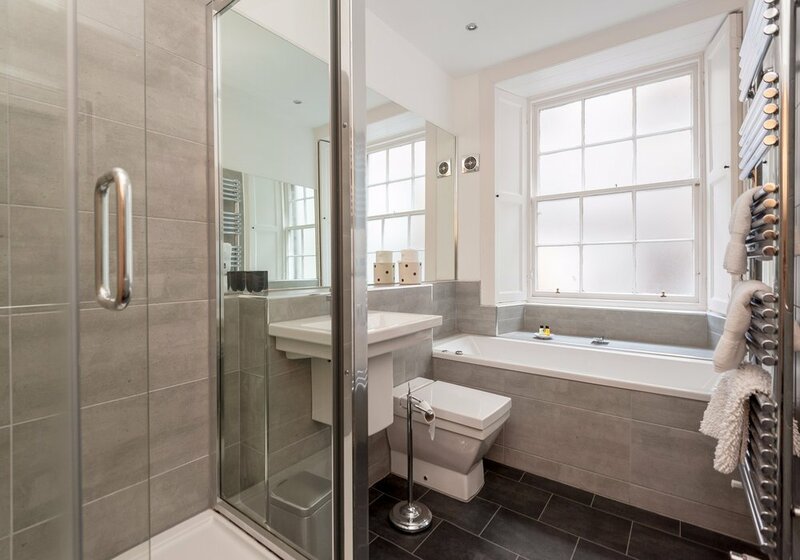 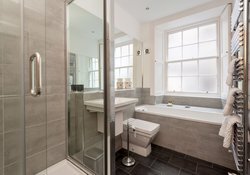 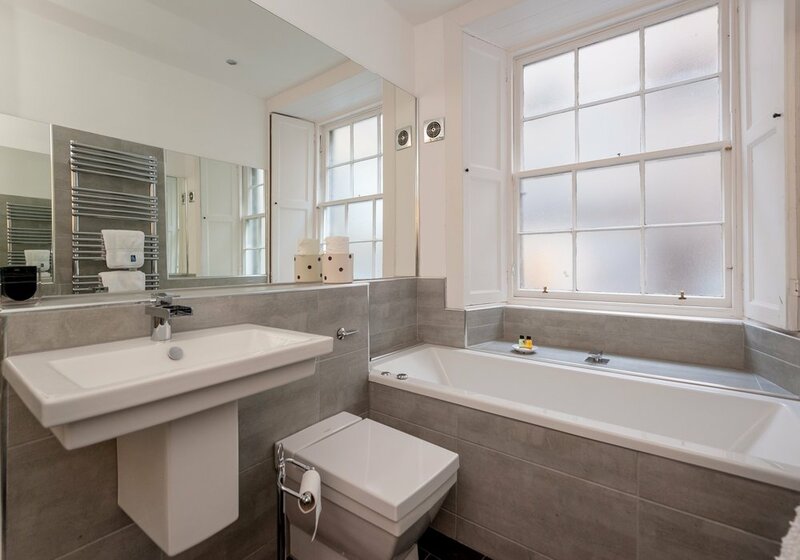 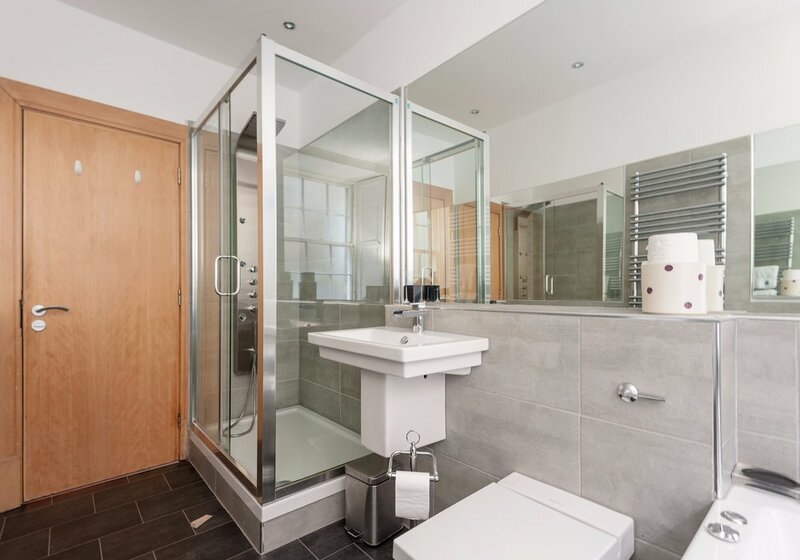 This is a large room with a bath with mixer taps and a separate large walk in shower. A shaver point is also in the bathroom. 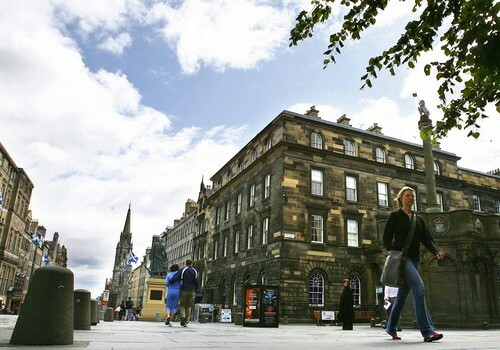 * The airport bus drop off point and main railway station are approximately 250 m away. 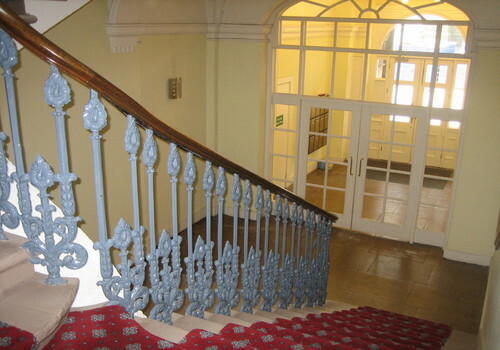 * This second floor flat will be unsuitable for some people with disabilities as there are only stairs. There is a "meet and greet" service , whereby you will be met at a property at a pre-arranged time to give access. 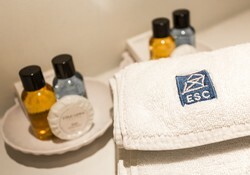 Full instructions of this procedure are sent out in the formal confirmation and can be found in the secure guest area. Entry is from 14:00 onwards but if nobody has booked to depart on your day of arrival it will probably be very suitable for us to give you entry as early as possible. Departure is by 10am (a guaranteed late departure up to 20:00 can be obtained for 50% of that daily rate. 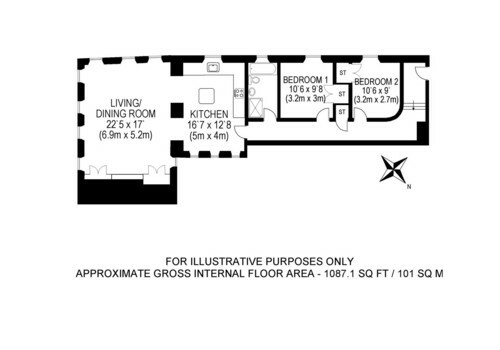 Please contact us if you want to utilise this facility and a price will be calculated). 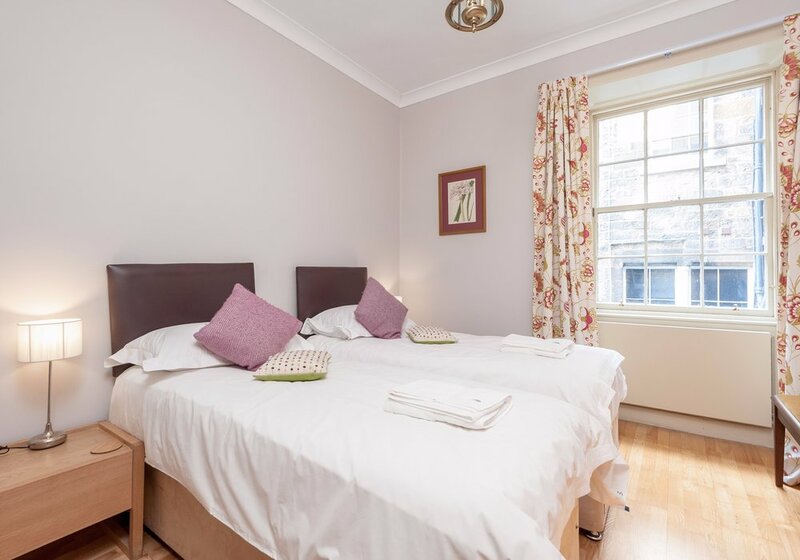 1 x double bed, 1 x zip 'n' link double that can split into twins if requested during the booking process.